This year we stayed at home, really, in the house. But I wanted, as we now know we are staying, to ritualise Newyear/Hogmanay to include our home. 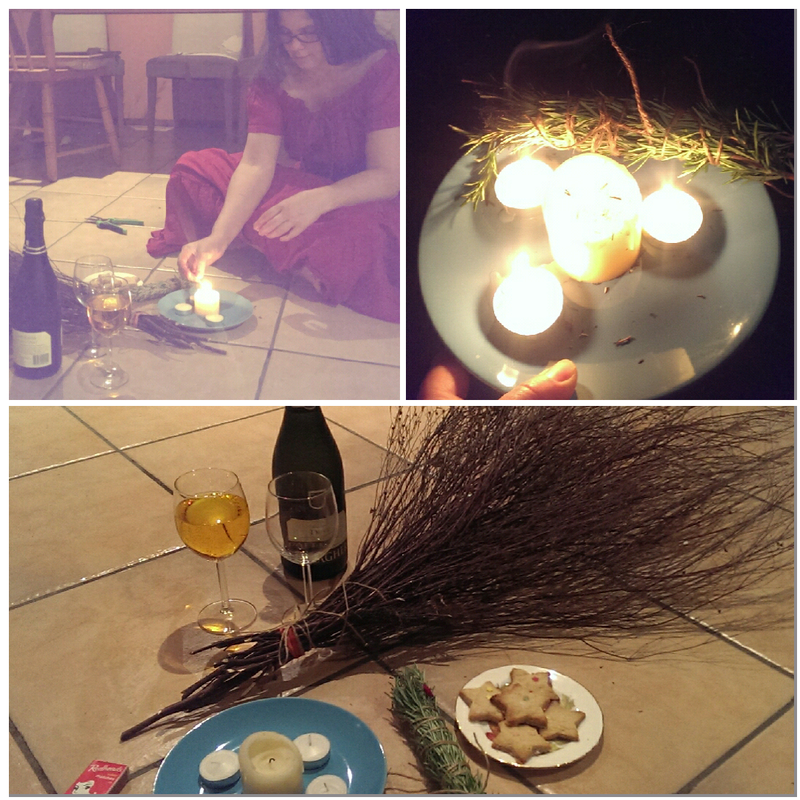 I put together a bit of a mishmash of tradition and neo pagan elements. Opened the back door to let the old year out. Swept the living room with a broom made from a bush in the garden to the front door. Placed the broom at the threshold. Lit the smudge stick and smoked it through all the rooms in the house. It felt right to mark the turning of the year in some way. Lets see how it goes! 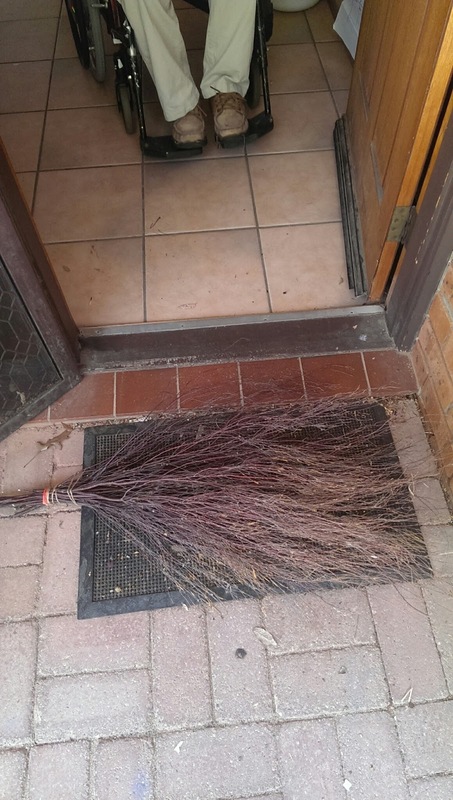 After sweeping out the old year, our garden broom lays across the threshold. Ingredients for the smudge stick were all gathered from the garden. 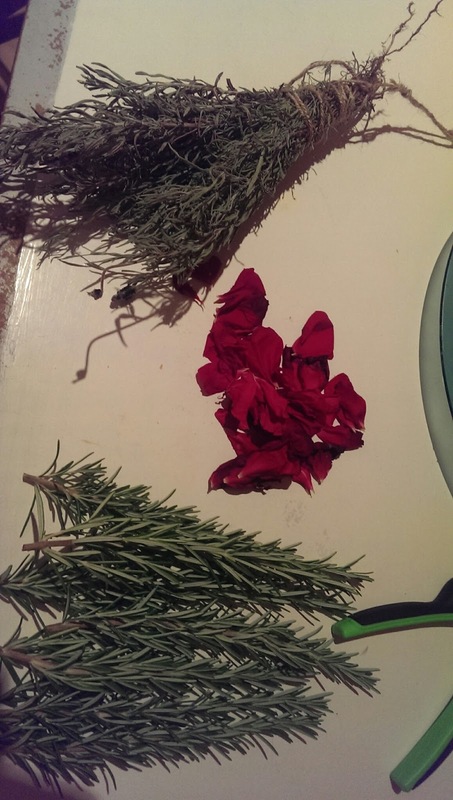 Dried lavender, rose petals and rosemary. It smelt good.